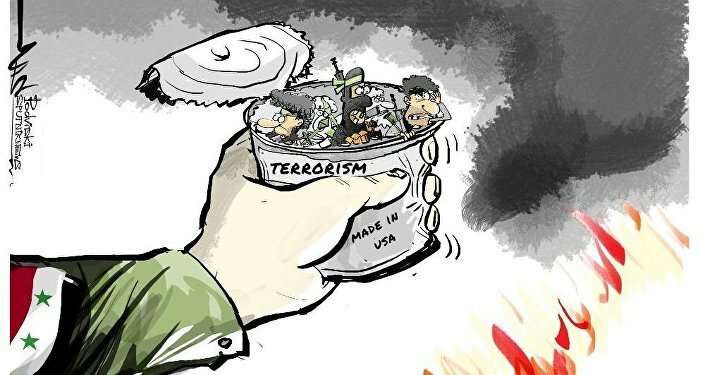 The new accusations add to the string of charges of alleged US-led coalition cooperation with Daesh (ISIS), contrary to its proclained goal of fighting terrorism in Syria. US helicopters have evacuated Daesh leaders from several areas across the Syrian province of Deir ez-Zor to the country's northeast, Syria's SANA news agency has reported, citing eyewitnesses. SANA reported that according to residents, the jihadists were evacuated Wednesday and flown to safety in al-Hasakah province, much of which is presently under the control of Kurdish and US forces. Sources said that several US helicopters had conducted low-altitude flights into the al-Saad camp for temporarily displaced persons, landing near the al-Hasakah Dam in southern al-Hasakah province, bringing in terrorist leaders reported to have joined a new group of militants supported and organized by the US. Previously, SANA said, US helicopters had evacuated 47 terrorist leaders to al-Hasakah, with injured militants reportedly sent to receive medical assistance from Medecins Sans Frontieres doctors. In recent months, the Syrian government has repeatedly accused Washington of providing various forms of support for Daesh and other terrorist groups operating in Syria, including intelligence which allowed militants to attack Syrian army positions. According to Damascus, US air power has been used on numerous occasions to rescue terrorist leaders from their imminent destruction at the hands of the Syrian army, and even to stage 'accidental' attacks on Syrian forces as they advanced against the militants. Earlier this week, the Syrian government charged the US-led coalition at the UN with making deals with the remnants of Daesh and coordinating its actions. In mid-December, the Russian Ministry of Defense accused the US-led coalition of using the al-Hasakah-based camp to train jihadist militants who had been reorganized into the so-called "New Syrian Army." According to Russian intelligence, based on refugee testimony, most of the estimated 750 militants at the camp are affiliated with Daesh and Nusra Front. The core of the group consists of 400 Daesh militants who escaped Raqqa in October 2017 with help from the US military. A spokesperson for the US-led coalition rejected the Russian military's accusations, telling Sputnik that their allegations were "absurd."